Overtime: Between the factory, 3D printer, and woodshop, D’Angelo feels like he’s died and gone to heaven at his new job. SCN: You have one of the most stable backgrounds in the industry, having gone to work as a consultant for CM Salter Associates after graduating college, which until recently, has been your home for your entire career. How are you using this background as a long-time consultant to guide development of systems solutions at QSC? Joey D’Angelo: I’m mostly going to be focused on all the challenges that end users face, and then either help them to solve their problems, or bring it to the attention of our product development team here at QSC, so those issues are eventually resolved. As a consultant, my job was always to solve end-user problems, and ironically, I think the major portion of my new job is to help QSC’s end users succeed. It’s a similar scenario. I’m happy to announce that I’ve been joined in this role by Cory Schaeffer. We are part of a team that includes a very experienced group of regional sales directors, product managers, and engineers, all under the inspiring leadership of Joe Pham, president and CEO. We are deploying serious resources into the Systems Solutions group with the intention of growing it. SCN: What does your appointment to this position tell the industry about the direction in which QSC is moving as a company? What are you hoping to accomplish in the long term? JD: I think it indicates that QSC is growing. It also shows that we take into consideration the needs of the end users and consultants, and deeply desire a direct, two-way relationship with them. In the long term, we are hoping that we can support our end users if they need it, help them resolve issues, and gather information on their wants or needs. This will allow us to also bring better products to market and better tune our distribution channels. QSC hopes to breed a team of individuals that possess a vast amount of experience with end users and have been able to cultivate valuable relationships with them by providing almost concierge-like innovation and assistance. It’s all about service at the end of the day. 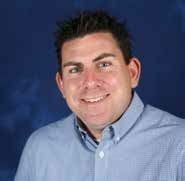 Joey D’Angelo is a long-time boating enthusiast, and can be found traveling along the California coastline in his spare time.SCN: How does your close work helping end users with their specific challenges benefit integrators and consultants? JD: Good question, it goes well with my last statement. It’s really about service to our integrators and consultants as well. I think my role is primarily intended to help end users and consultants. A fringe benefit of that though, is that an integrator or a consultant can call upon me or my team to offer advice, support, or assistance specifically with end users that have needs well-suited to QSC products, and I can assist without them having to bill hours or waste resources supporting mock ups, demonstrations, or solving complex problems. It’s free help, so use it. Save hours if you’re a consultant, and we won’t do or say the wrong things. I know what those are already because of my experience. If you’re an integrator, and you have something that is suited to some end-user assistance, let your local QSC rep know, and we’ll be there to help if necessary. SCN: What’s it like to be working “across the aisle,” per se, for the first time in your career? What does this enable you to contribute differently to the industry? JD: It is different and yet oddly familiar. From a solutions perspective, finding problems for QSC end users and then solving them feels very familiar. I enjoyed designing full systems and working directly with end users to help them. But that’s where the similarities end. On the manufacturing side, there is so much to learn: budgeting, sales channels, existing relationships, boundaries, chains of command, internal systems—the list goes on. None of these things were really present at a small consulting firm of 50 people. It is such a huge challenge, but it’s a welcome challenge that I’m so excited to meet. SCN: What type of audio systems solutions are in highest demand right now, and how do you predict this will change the way systems are designed in the future? JD: I think that everyone wants a universal, powerful, networked media solution that can run on standard network switches and that doesn’t increase the cost of the actual product itself, due to licensing fees or proprietary chipsets. I also think that most folks want PoE-based products whenever possible. As for the impact on future designs, I would say that the days of speaker wire and balanced audio cables are numbered. In the future, I’d bet systems will utilize one type of wire, becoming less hardware focused, and have a centralized server or processor handling every aspect of control, audio processing, video switching, conferencing, admin, diagnostics, and scheduling. This architecture could almost be a “pay as you go” type solution, which could save companies millions and open doors for them to enhance productivity and grow their AV needs. SCN: You describe yourself as someone who can wire or fabricate anything, and have demonstrated that you like to get your hands dirty when it comes to gear. How are those hobbies being further indulged at QSC now? JD: My degree is in industrial technology. QSC has an enormous factory. I’ve always had an affinity for designing and producing products. Have you seen their loudspeaker wood shop? It’s like I’ve died and gone to heaven! In addition to factories, machines, and tools, part of my role is to work with our product developers. I am going to provide realworld market experience to our designers in the conception stages of product development. SCN: Technological barriers aside, what is one futuristic product you would like to see become a reality? JD: I’d like to see a XXXXXXXXXX* that would be fully networked and enable end users to XXXXXXXXX, which would save millions of hardware costs, and introduce an extreme amount of XXXXXXXX, never before seen in the industry. This device could live on a XXXXX or the XXXXXX and simply handle all of any system’s needs. Actually, I may have already seen it, which is why I’ve made this move to QSC! Stay tuned and see what’s coming.